A few years ago, I was invited to a Mother Blessing by a good friend. I thought, ‘How wonderful, a Mother Blessing. How beautiful… except… what the heck is it?’ So I hit the internet as we do these days to google unknown facts. Mother Blessings came from the term Blessingways. Blessingways date back to the 1800s and they are one of the Navajo healing ceremonies designed to restore equilibrium to the cosmos. Parts of the general Blessingway, especially the songs, are included in most Navajo ceremonies. Unlike the other healing ceremonies, the Blessingways are not intended to cure illness but instead they invoke positive blessings and to avert misfortune. As a part of Navajo religious practices, the Blessingway is considered to be a highly spiritual, sacred, and private event. Invite only the closest women in your life. This is about you, not them. Inviting someone just because they are in your family could make the otherwise intimate moment awkward. Have each women take on a different task for the day so everyone feels included. Have a potluck! This makes it so you aren’t taking on too much for the day. Everyone makes a different dish. Create a ‘birth centerpiece’ for your circle. Choose a special blanket and place different trinkets that are meaningful to you in the center. You can choose this over a series of weeks leading up to your blessing. 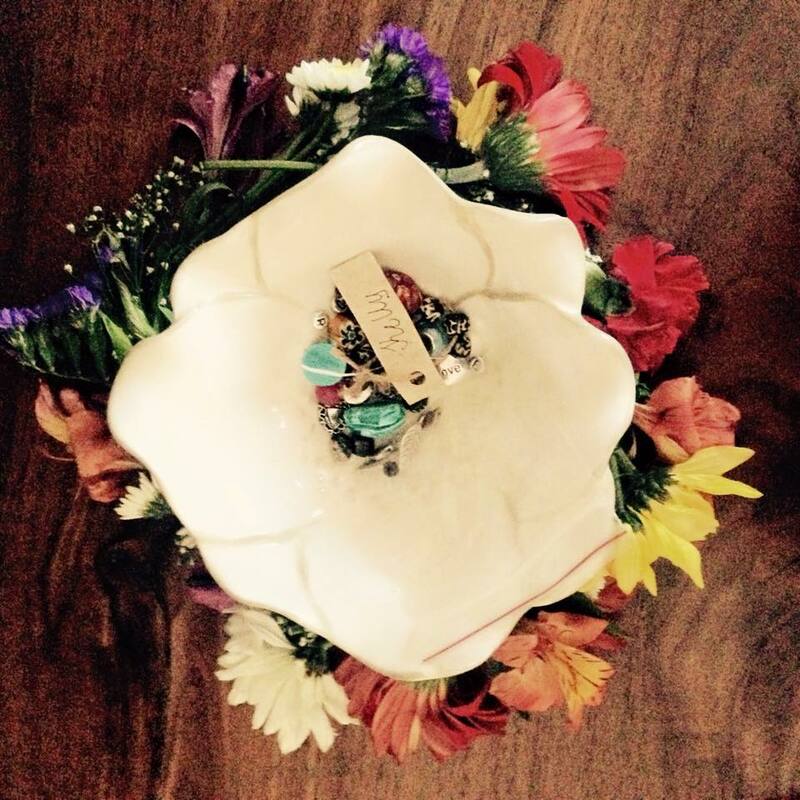 To start off the ceremony, you might choose to share why you chose each item in the center. 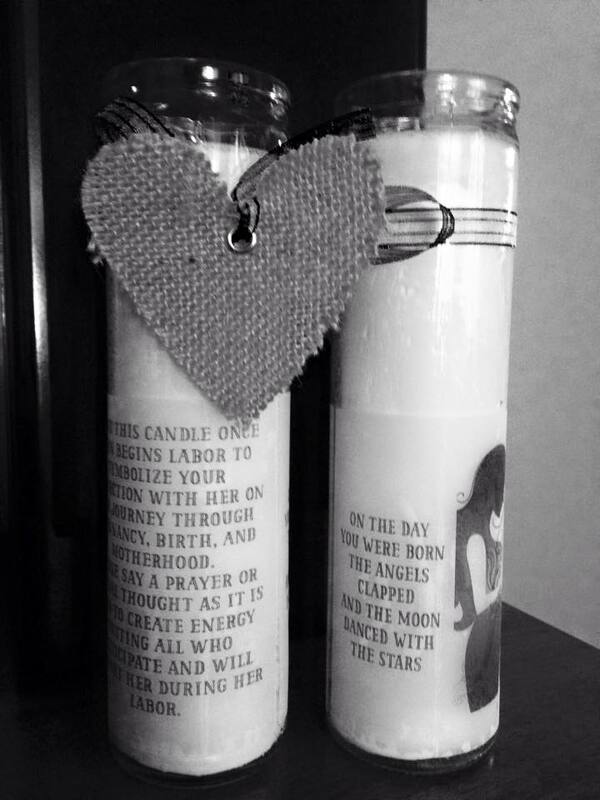 These also might be the same items you choose for your birth altar. Once everyone is settled in the circle, you might choose to cleanse the space using sage. You can smudge each woman present. Read more about sage smudging here. One of my favorite parts of a Mother Blessing is the presentation of beads. Each person who attends brings a bead that they feel reminds them of you. They can purchase beads for pennies at Michael’s Arts & Crafts, JoAnne’s Fabrics, etc. During the blessing, you go around the circle and everyone presents the bead, why they chose it for you, and a wish or blessing they have for you. Through out the day, you can have someone put together your floral headpiece. Get ready to be crowned a Mama Goddess! You can do a release of fears. This is extremely important if you have had a traumatic birth experience or if you have any anxieties going into your next birth. All you need to do is write these down on a small piece of paper. During the Blessing, these fears can be burnt and returned to the Earth. You can choose someone to pamper you by performing a washing feet ritual. They start by rubbing cornmeal all over your feet and then gently washing it off into a bucket of warm water. You can add flowers to the water and even some rose essential oil. After the cornmeal is washed off, your chosen lotion can be rubbed on your feet and legs. This ritual is very symbolic in our history (read more here). Once the feet are washed and dried, you can burn your fear paper and put it into the water. With several people helping, take the bucket outside and return the fears and water to the Earth. 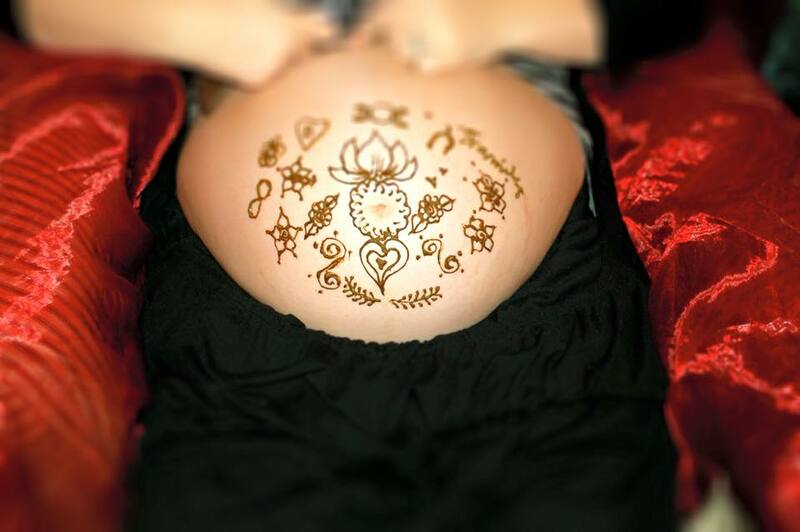 You can hire a henna artist to make some beautiful designs on your belly and on your guests hands and feet. If you choose, you can purchase candles from a Dollar Store and give them to your guests to take home. They can light this candle when you go into labor and it’s thought that this brings great energy and strength to the mama in labor. Towards the end of the ceremony, you can connect all of the mothers with a red yarn. Once the yarn is around all of the women’s wrists, you can cut and tie off so each woman has a red yarn bracelet. Every time they look down, they can think of you and send you warm thoughts. They wear the bracelet until you go into labor, or until it falls off. This is to present to you with wishes for your labor, birth, and new child and life as a mother. Once all of the beads are presented, you can string them on a necklace to wear during labor. You can also wear it later throughout your child’s life, for example, on his birthday, baptism, etc. If there is a certain flower scent that does not go over well with your pregnant nose, make sure you tell them! 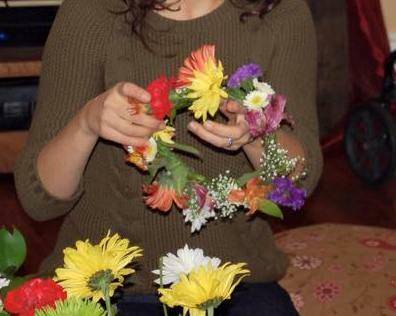 The flowers will be put together to make a floral headpiece for you to wear. Remember, the idea here is to make mama feel loved and beautiful. Hire a professional to host the Blessing for you. I had a very beautiful ceremony that was hosted by Mary at Sacred Space Birth Services. If you are on Long Island, contact her here. There are many more ideas including reading prayers and singing songs that I didn’t include above. The overall Blessing can be very emotional and very healing for all the women involved. Have you had a Mother Blessing? Share your story below! ← How do you know they are 'the' one? Here are 5 early signs.